Mindfulness is taught through DBT, but one doesn’t need to take a class or have a diagnosis in order to start receiving the benefits. I believe that most people can learn mindfulness if they have patience and an open mind and that it can definitely benefit everyone. 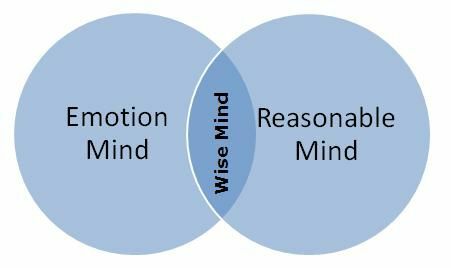 Mindfulness is about staying in touch with one’s “wise mind.” Wise mind is the state that balances one’s emotions and one’s logic. 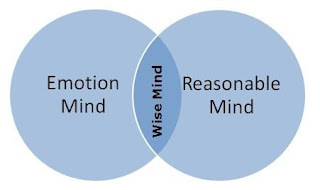 In DBT and in Buddhism, one tries to be with one’s wise mind instead of living with the extremes of logic and being detached from life or the extreme or emotion and becoming too impulsive. Mindfulness lets one stay in the present moment and I would say that being in the present is one of the keys to happiness. Most people stay stuck in the past or worry about the future and while it is good to reflect on the past and learn from it and it is good to plan for the future, constantly thinking about the past or the future will keep a person stuck in a dark or worrisome mood. Mindfulness is about accepting one’s current reality, instead of hiding from it. Paradoxicallly, when a person can accept their current situation, then they are better able to change it because they are no longer running away from their problem or uncomfortable feeling, but facing it head-on. Pay attention to your body. How does your body feel like when you are becoming stressed? Learn to listen to your body and if you catch yourself tensing up, do some mindfulness exercises then and see if you can prevent your anxiety from getting worse. Deep breathing. Breath deep from your diaphragm – you are breathing through your nose and will feel even your back opening up. Purposely make your inhalations and exhalations slow. Some people find it helpful to count. I have trouble concentrating on numbers, but I do concentrate on words. As I breathe in, I think of a positive word or phrase, like “Love,” or “Thank you” and then I let it go when I exhale. This helps me concentrate of the positive word, instead of what I was previously anxious about. It is helpful to know that if you struggle with this, you’re not alone. 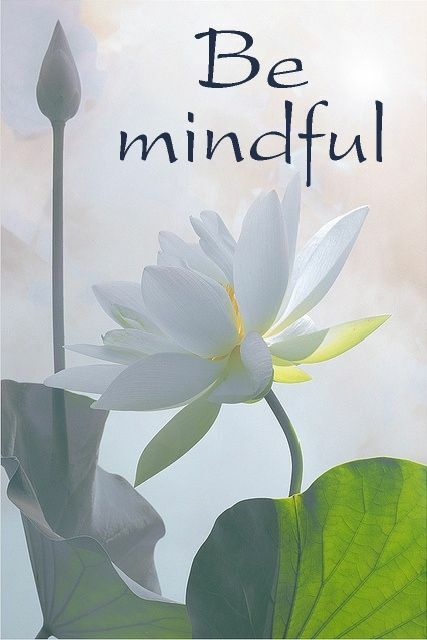 Many people struggle with mindfulness in the beginning. When you notice your mind start to wander nonjudgmentally bring it back to the word or number and start deep breathing again. The more you practice, the easier it will be. Mindfulness can also bring me back to an attitude of gratitude. When I start to feel anxious or just grumpy, I look around me for something to admire or to feel grateful about. This is called “participating” in DBT. That way, I am not stuck in my head, but in the present moment admiring the beauty of the world around me. I may look out the window and notice how gorgeous the sunset is or how mysterious my cat’s eyes seem to be or try to think something that happened recently that I can feel good about. I find that when I write down what I’m grateful for often enough, I start to notice positive things more often, which in turn helps me feel more positive in the long run. It’s not that we are running away from problems or never have to feel uncomfortable, but that when we notice the positive things in life, we are less stressed, which will give us the peace of mind to handle our problems in a more constructive, clear-headed manner. I write down what I am grateful for several times a day on an app called Happier and I write a gratitude list every night before I go to bed. It really does help even my moods.